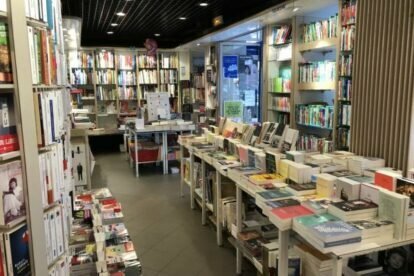 In a small space, but full of books to the top, this is one of the best places to look for something to read in French. I like to get off my office and spend half an hour glancing through the new books. The staff is very helpful and has read many of the books presented in the stands, to the extent that they even write small reviews of the most interesting ones and attach them to them, so you can get some idea about what the reading is going to be like. But they also like to engage with you and chat about the type of books you like and recommend something that suits you. In the street, they have a few tables with plenty of nice books and guides of Paris that can satisfy all kind of needs, including books for kids about Paris. If you can read French, it is worth the visit.